– DECENT acrylic paint (cheap paint wont be as solid in print) – the colours I have used are burnt sienna, emerald green, titanium white, ivory black, cadmium red hue and cadmium orange hue. I think the steps themselves are pretty self explanatory – it’s the skill of getting a baby or toddler to tolerate printing several (in my case, 60) footprints. TIP: wait until they nap! It is so much easier than trying to contend with paint and a wriggler. Use the sponge to apply the paint to their feet, you’ll get a more even spread and a better end result. Finishing touches are pretty simple – wait until the cards are dry! This should only take an hour or so but I’d give yourself a few days of doing bits at a time if you have lots to do! And there you have it! Not so much a tutorial as it doesn’t take much explaining, I’ve done this to assist a bit with the tools and craft bits I use in order to make my footprint cards. When I first saw these online, they came with no instructions and I had to find all of the resources myself. 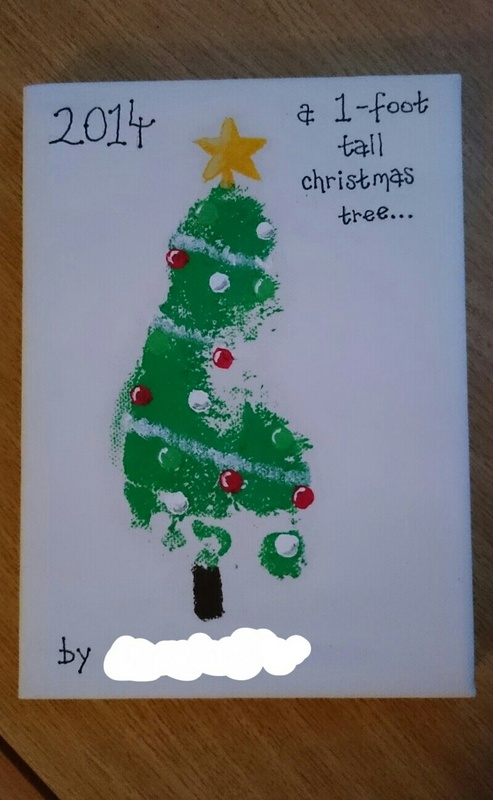 Why not try using your child’s footprints on a canvas to make a ‘one foot tall christmas tree’? I get my canvas’ from The Works and they cost no more than £2! 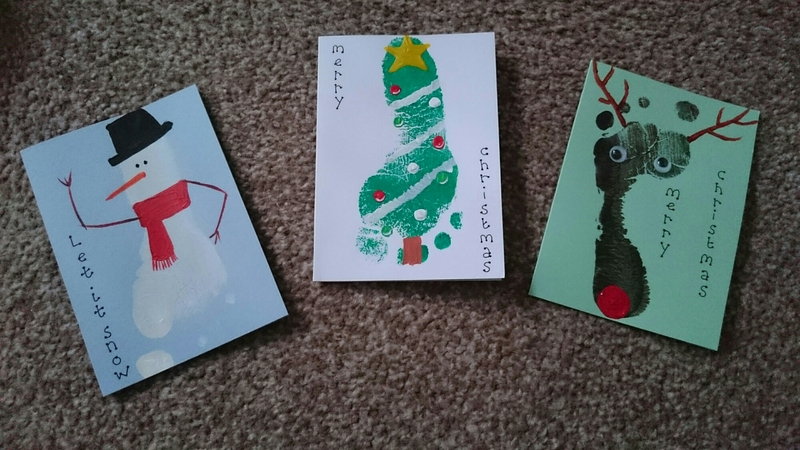 This entry was posted in Uncategorized and tagged canvas, cards, christmas, craft, footprint, greetings, personalised, reindeer, rudely, snowman, star, tree by allinsonsmith. Bookmark the permalink.